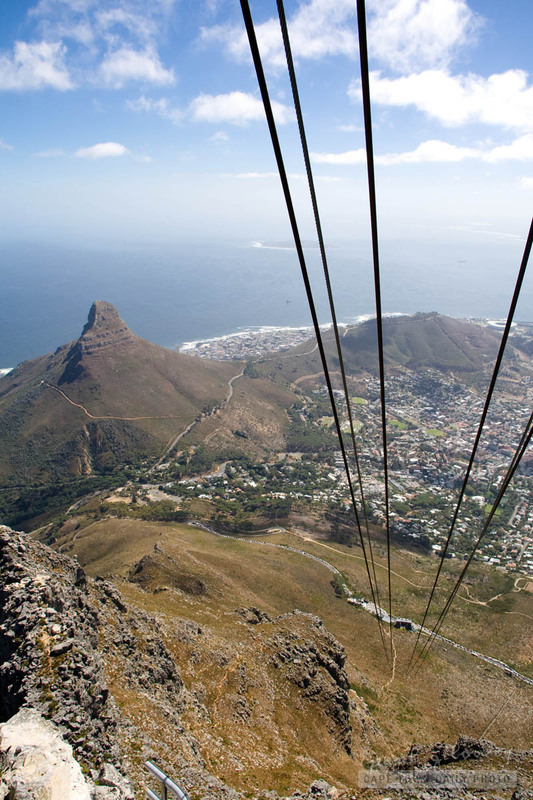 The view from the cable car is quite unlike any other. The feeling of quickly rising up from the lower cable station to this majestic view is incredible. To the left in the photo is Lion's Head, with Signal Hill stretching off to the right (just behind the stadium built for the 2010 football world cup) and way way in the distance, right in the middle, you can see the spot in the ocean known as Robben Island. Have you ever hiked up Table Mountain? Did you know that hikers can get a one-way ticket costing only R45 from the top to the bottom before 09h30? If you've ever hiked up and down the mountain then you'll know that up takes longer, but down is a far less pleasant hike - so I'd say R45 is a real bargain. Posted in Activities and tagged table mountain, tip on Sunday, 27 March, 2011 by Paul.